Rather exhausted after the 14 hr overnight boat ride, I could not wait to get off. It was mid afternoon when we caught the first glimps of Taveuni. 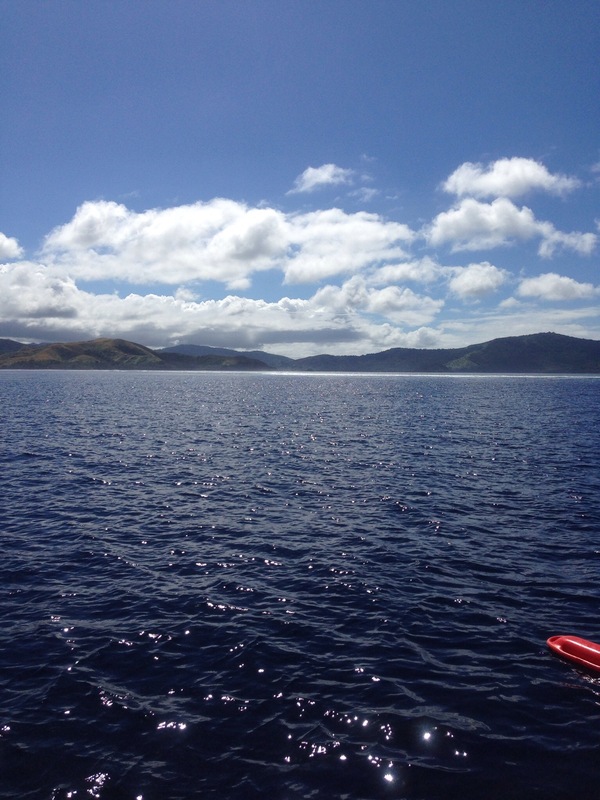 It was beautiful, lush, greenary, rich vegetation and then I was happy we travelled by boat for the sea to land view. We stayed in the Beverlys camping which was amazing, it is run by a Fijian family and consisted in a few places to pitch your tent or hire one of theirs, there is also 1 private cabin and 1 dorm room if camping isn’t quite your thing. I’ve never been one to camp but here in Taveuni it was awesome, right on the beach, bedding provided and kitchen and with everything you need, the bathrooms were fine and its a small site so everything is very close. There isn’t anything commercial about this place, completely untouched and beautiful. I loved breakfasts on the deck overlooking the sea. Taveuni is called the garden island and it’s very much true. I don’t think I’ve ever seen so much greenary, flora and faurna! Coconut, cassava, banana, pawpaw trees everywhere, just to name a few. 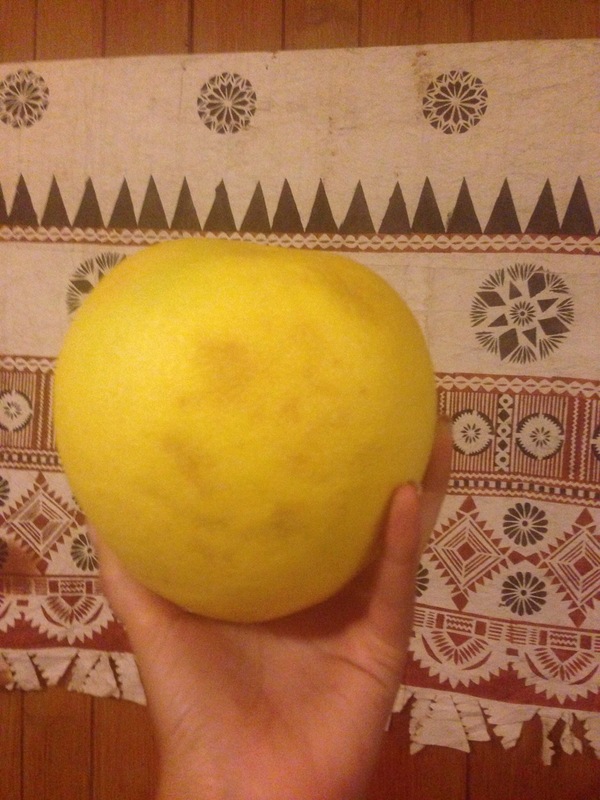 It is also home to this massive lemon which you peel away the outer layer then also peel the lemon skin to just eat the juicey parts and it’s delicious! Our first morning we ventured by bus to the bouma falls. The bus ride in itself is stunning, going through lots of villages until you get to bouma. The waterfalls consist of 3 falls, one at the base 10 mins into the hike, the 2nd about 30 mins later and the 4th about another 40 ish mins depending on your speed. The sign says 1hr 10 mins to the 3rd from the 2nd but we did it much quicker. They are all so beautiful and you can swim in them if you want to. We were running low on time so unfortunately we didn’t fit in a swim. The hike is beautiful, further and further you go up the view just takes your breath away. 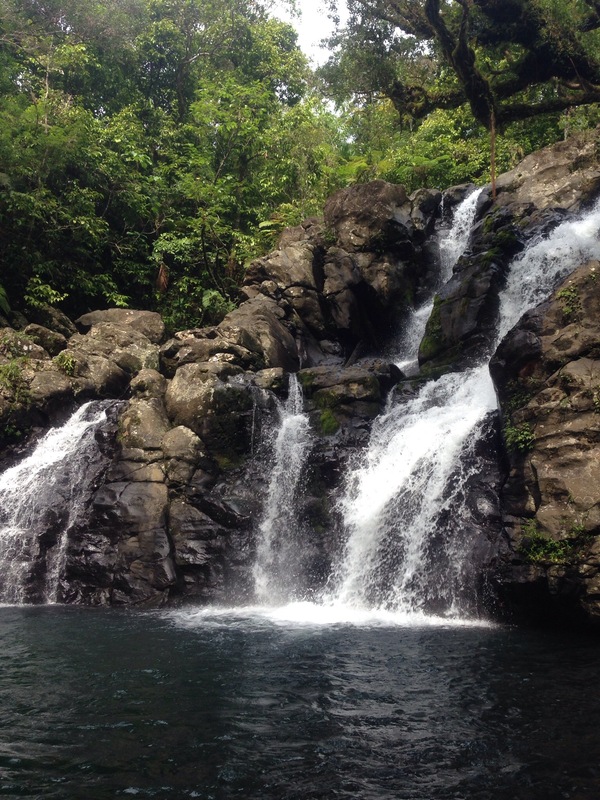 Some people weren’t bothered with going to the 3rd waterfall but I would recommend it, who knows when you’ll be in Taveuni again if ever, you may as well see all 3. My only complaint was that the bus time table doesn’t leave much time to get to all 3 and have a swim. I think this is why people wouldn’t bother with the 3rd fall. The bus gets you there after 11 am and then comes back around 2pm, if you miss the bus like we nearly did, you would either have to get a costly taxi or hitch back. Our campsite friends hitched back but it took awhile and quite a lot of walking between hitches. We’ve done a bit of snorkelling in the mamanucas and on the coral coast but never experiences anything like the rainbow reef. It is rated the 3rd best in the world, so many different species of fish, soft and hard coral, it’s just amazing! The current was very strong so you just have to go with it and skim the reef around the drop off. Snorkelling was great but if you can afford it, definitely do the scuba diving, we’ll be doing that next time! We did get to see a reef shark which was exciting and not scary at all. As a bonus we also saw 2 dolphins on the way to the rainbow reef yay, absolutely gorgeous! 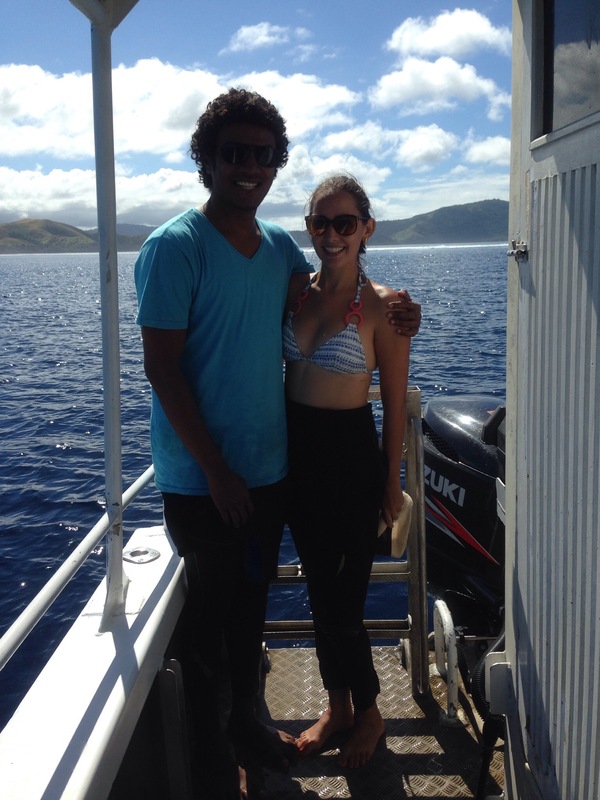 The team at Taveuni Ocean Sports were so nice and knowledgable. I would definitely recommend to do the introductory scuba with them and it costs around 250 FJD, the snorkelling is around $100 FJD. We were taken to 2 dive locations but there are more than 40 dive spots, all I’m sure as amazing as the other in different ways. After the snorkelling we were starving so we ventured into town. There isn’t much in the way of restaurants but we heard one place made nice curry. The restaurant Diners Paradise is quite a standard curry house so we thought we knew what to expect, but unlike the curry restaurants on the mainland where potatoe is used to make the plate look more wholesome, this place had no sign of potato and plates were full of the main ingredient of your choice. I ordered the fish curry with roti and jay had the lamb curry with rice. 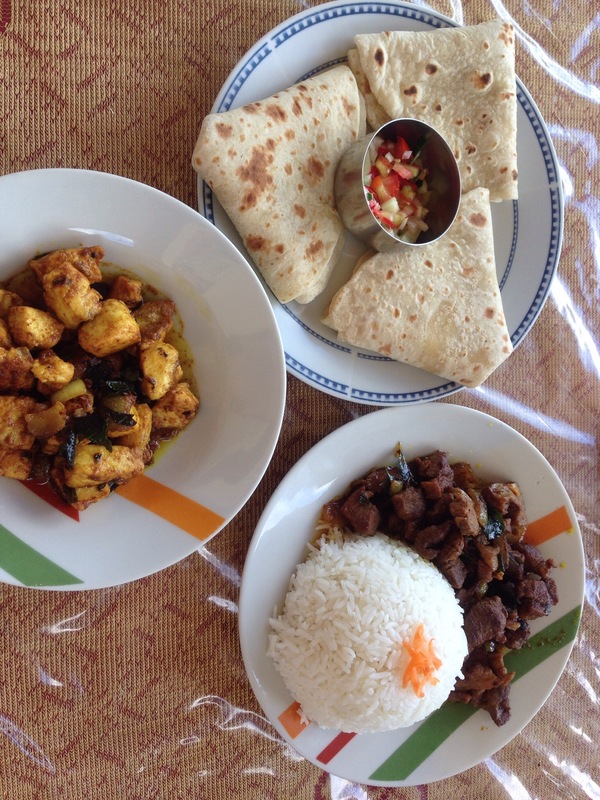 Both were absolutely amazing and the best curry we’d had in Fiji or maybe ever and between $8-9 FJD each. 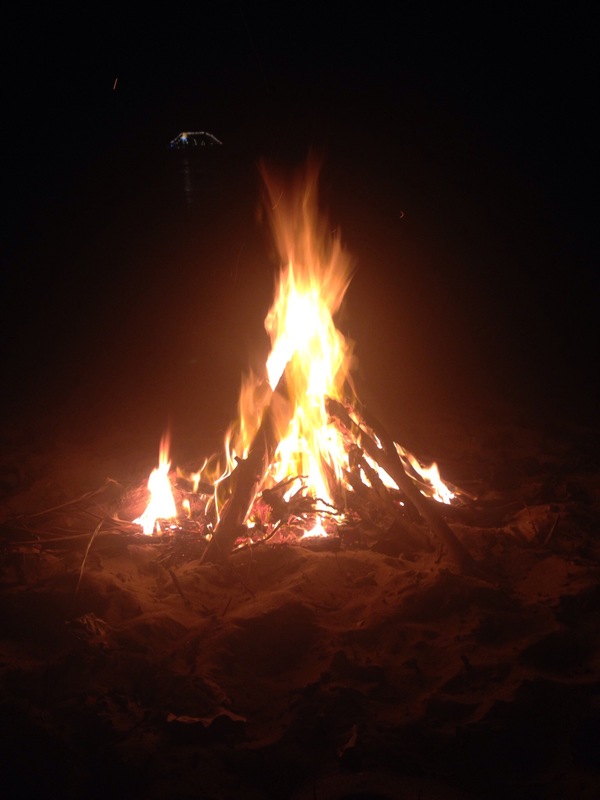 That evening Jay and I made a bonfire on the beach. It was so much fun but quite a lot of hard work to keep it going. It was a test run for the next night which was our last night in Taveuni, so that was a success and a lil couple fun time yay. 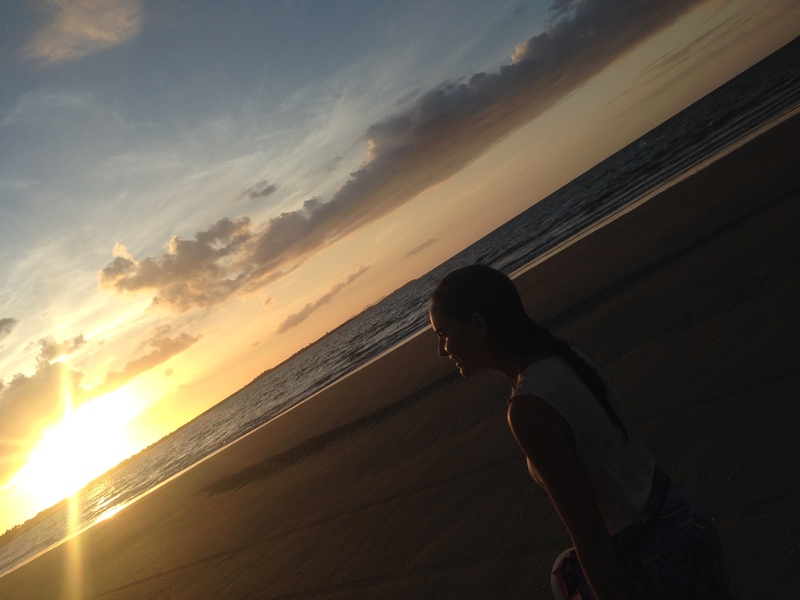 Our last day was perfect just like all the other days on Taveuni. We hitched and walked to the natural watersides, and again had our breath taken away. 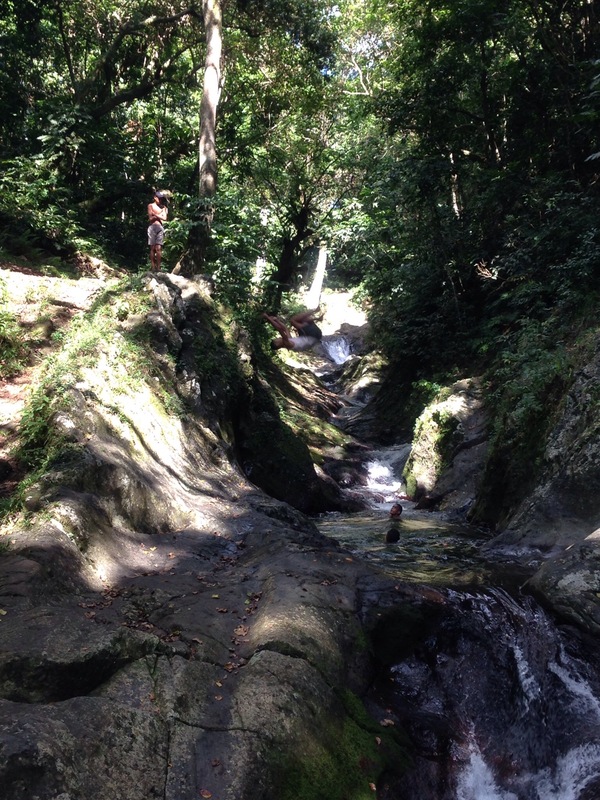 The rock formations create a natural waterslide and much more fun and beautiful than wet and wild haha. The rocks are so smooth it doesn’t hurt at all, only time you could get hurt is slipping while walking to the top. I had a minor slip but was fine to keep going. The water is fresh and there are deep pools as well, just like it the water parks. After a fewslides we were joined by some kids who come everyday. Their slide skills were amazing, running to the top like slipping isn’t an option, then running and sliding down on their feet, not bums like us haha! It was amazing, so fearless. Then they were jumping into the deep pool from the 2-3 metre rock, backflips and everything. Jay also jumped although it wasn’t as confident as the kids haha. That evening we had dins up at the backpacker resort which is stunning, murruva for our last night. During our trip, Jay played volleyball up there and I went on the free wifi. 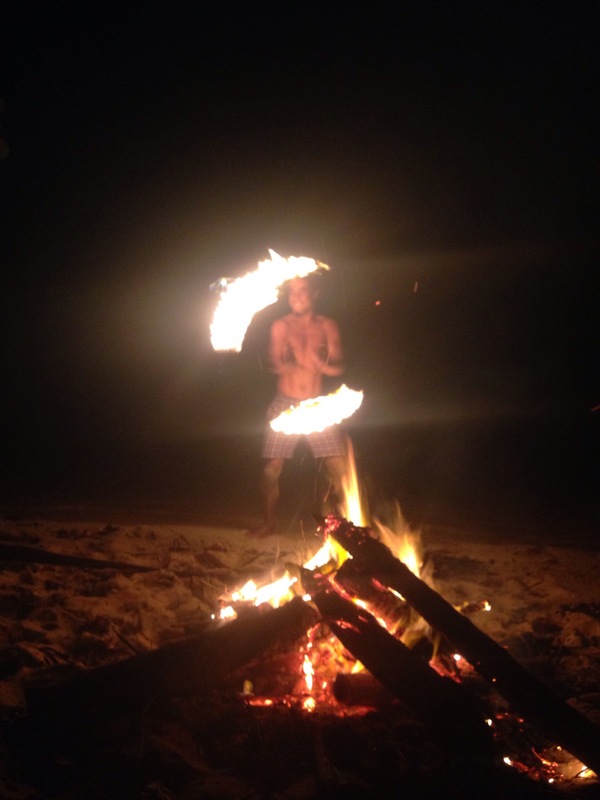 They also do kava sessions which we went to one on the second night, it was quite fun. Next stop, the old colonial town of Levuka!